Real beauty starts with a good base. Discover the pure white of CHIC. Distinctive through the eye-catching combination of snow white petals contrasting with a fresh, bright green centre. CHIC is classy, modern and an absolute “value for money” spray chrysanthemum that should not be missing in your product range. The flowers retain their charm for a long period of time due to their superb transportability and outstanding vase life. On behalf of Chic: You’re On! 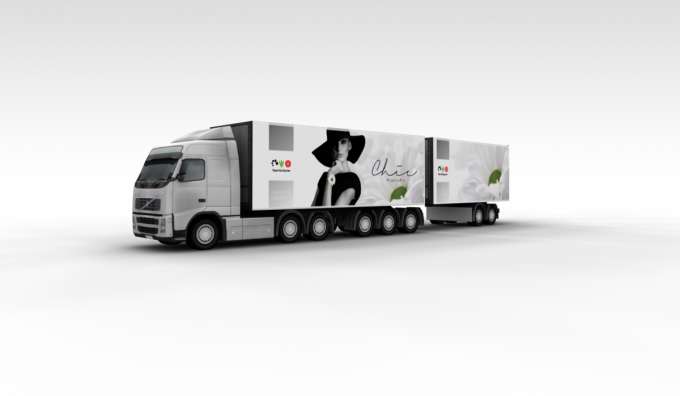 created a gigantic version of their top product on a truck. You can find it on the european roads around!